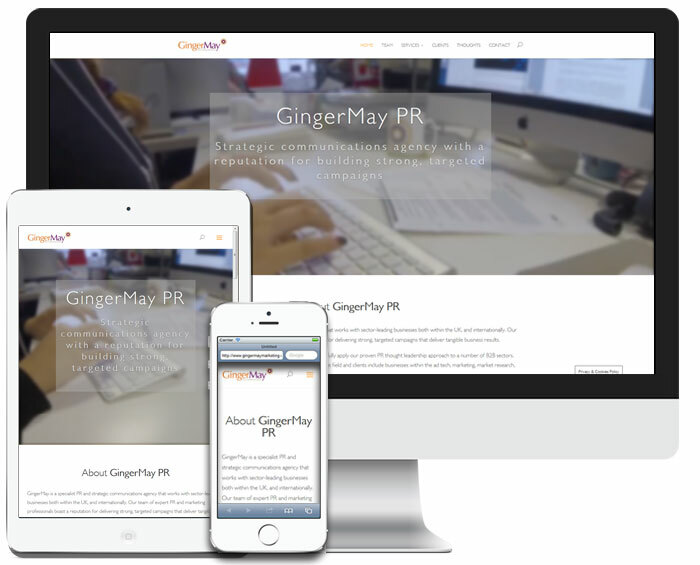 GingerMay PR is a specialist PR and strategic communications agency based in London & Tunbridge Wells. The site is built using WordPress and the Divi theme with lots of custom CSS. Content, graphics photos and videos supplied by GingerMay. Thanks to the WordPress Content Management System, the GingerMay PR team can add their own blog entries and keep the site up to date without the expense of having us do it for them.